"Ray Merriman has written a book that truly lives up to its subtitle - it does describe the journey of the soul through states of consciousness. 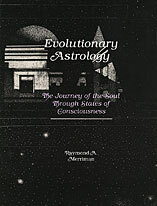 It takes the reader on a journey that will open their eyes to a deeper understanding of themselves as well as astrology." Reviewed by Marion march for Aspects Magazine.